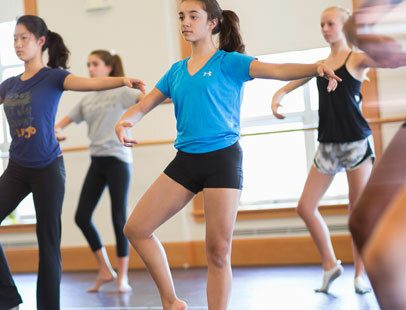 At Concord Academy, anyone can dance — or act, or sing, or play an instrument. 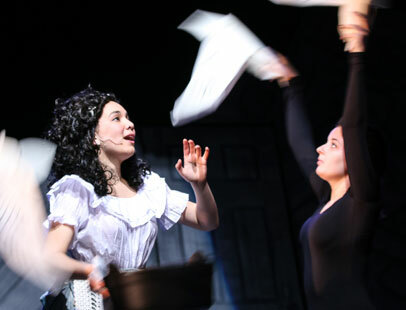 With nearly 40 courses to choose from and 20 theater, dance, and music performances on campus each year, CA students can participate in the performing arts at every level of experience. 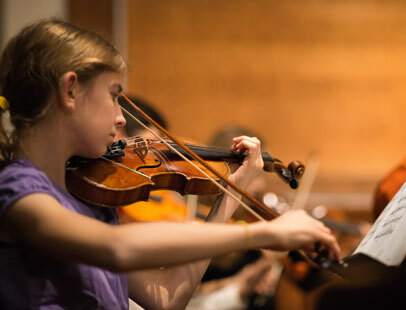 Programs in music, theater, and dance, as well as interdisciplinary courses, develop the skills necessary to progress toward greater mastery and self-expression. And our performing companies are regularly presented with opportunities for both national and international travel. At CA, we encourage students to explore the world around them by questioning the conventional. As learning in the performing arts centers on the artistic process itself, students synthesize knowledge gained in other academic pursuits and their personal lives, build skills through rigorous training and critique, and communicate new ideas and ways of understanding. Engagement with performing arts prepares students for success in all areas of their lives. Students learn individual expression within group pursuit, and develop skills in collaboration and communication, creative problem solving, improvising, and working within structure — gaining self confidence and finding inspiration. A video interview with Justin Bull about teaching filmmaking at CA, and the recent feature-length movie musical Much Ado About Nothing. CA’s ambitious filmmaking program has been around for 50 years. Faculty and alumnae/i take you behind the scenes. The fall mainstage production of Sophocles’ Antigone considers the value of an individual life in the scheme of larger ideals and the power of love in the face of hostility. See pictures from the show. There’s Music in the Air in May! The Music Program invites the CA Community and friends to a series of workshops and performances as the end of the year approaches. Each event represents the culmination of a yearlong study of music.